We all love a bit of guitar wielding in a song, it’s iconic, soulful and – oh what a beautiful instrument! 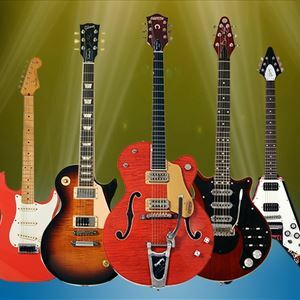 Presented by guitar virtuoso Phil Walker - this show’s extraordinarily talented band uses over 30 guitars to recreate and accurately reproduce the sound and ambiance of each guitar hero. Featuring video footage of historical moments, with state-of-the-art lighting and delivered with a light hearted vibe – this makes for a truly sensational and enjoyable evening. Now in its 5th year, The Story of Guitar Heroes has become increasingly popular not only with many guitar players and musicians, but with people and families of all ages. Don’t miss out on this spectacular show. You won’t be disappointed!